Clinic Synopsis: Gibbs will identify and discuss critical elements of professionalism that young teachers will want to consider on their journey toward becoming an expert in the eyes of students, parents and administrators. Topics will include demeanor, grooming, punctuality, preparation, attitude, communication, concern for the big picture, and goals. Examples of pedagogical concepts requiring expert knowledge will be discussed without advocating specific methodology. Audience questions will be encouraged. 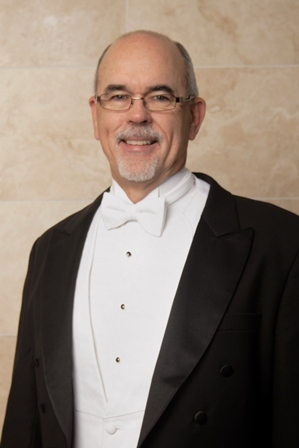 Clinician Biographical Information Brian Gibbs is the Associate Director of Bands and Director of Athletics Bands at Sam Houston State University. Prior to his appointment at SHSU he served as a Visiting Assistant Professor at Texas Christian University. He previously taught in the public schools of Birdville, Cypress-Fairbanks, Carrolton-Farmers Branch, and Richardson, Texas. Mr. Gibbs holds a Bachelor of Music in Music Education from Southern Methodist University and a Master’s Degree from Amberton University. Mr. Gibbs is currently a PhD candidate in Education at Walden University. His research interests include pedagogy for developing musical expressivity and strategies to help students develop skills in making wise decisions. Mr. Gibbs has presented clinics at the state music educators association conventions in Arizona, California, Tennessee, and Texas. Mr. Gibbs serves as the Executive Director of the Worldwide Concurrent Premieres Commissioning Fund.